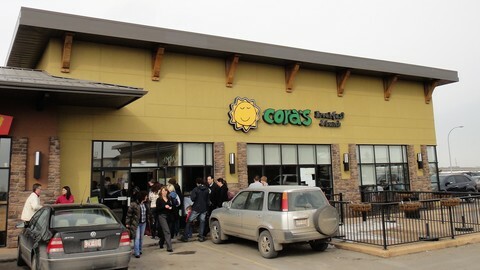 One of my favorite sit down breakfast places would be Cora’s, and we got to go to the one in the South on 130th Avenue in Calgary on March 19th, 2011. 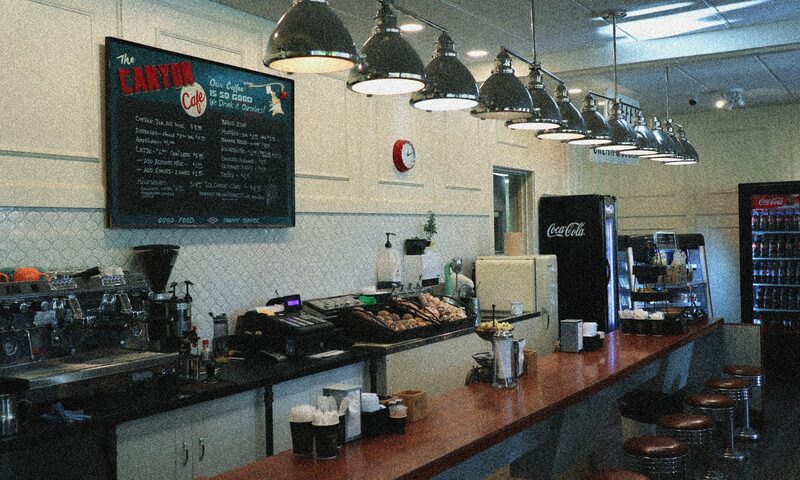 Food was great, prices was great — with large portions!! I ordered their Raspberry 4 Lucie and I think it’s very fitting. I used to get called Lucy a lot too… well, oddly I still do. Not sure why! 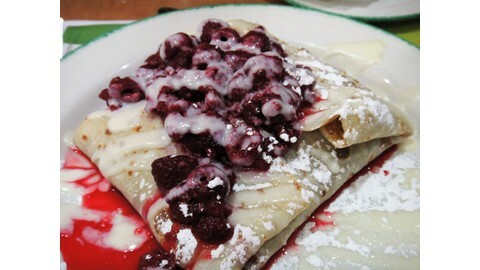 Anyway, this breakfast was a thin crepe filled with raspberries and custard with cream cheese! It was amazing and not too sweet at all! 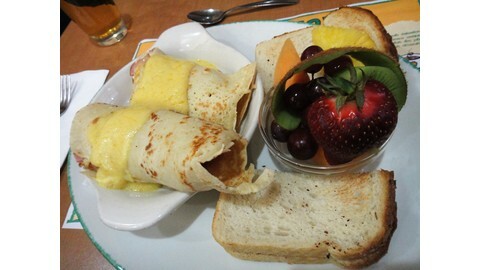 The other breakfast that we ordered was their Western-Cheddar crêpomelette which was a savoury crepe with ham, onions, red and green peppers, tomatoes, green onions and Cheddar cheese, covered in hollandaise sauce, served with potatoes and toast! Told you this was a big breakfast! Overall, it was a fantastic time here. Always expect a long wait unless you’re very early!